Henry J. Baker, DVM, (original member, now retired) is a Professor Emeritus of Pathobiology at the Auburn University College of Veterinary Medicine and the Scott-Ritchey Research Center. Dr. Baker discovered and has maintained the feline models of gangliosidosis for 35 years. He has studied numerous therapeutic options for these diseases, including ERT, stem cell transplantation and gene therapy. He has published approximately 100 peer-reviewed articles on molecular characterization and therapy of a variety of animal disease models. Begona Cachon-Gonzalez, PhD, is senior research associate in the Department of Medicine, Cambridge University, UK. After biologically training at the University of León, Spain, Dr. M. Begoña Cachón-González was awarded a PhD in Molecular Genetics at the Galton Laboratory, University College London. She mapped and characterised the hairless gene while working at NIMR, Mill Hill London. For the last ten years, while at Cambridge University Department of Medicine as a Senior Research Associate, her scientific research has concentrated on the treatment of inborn errors of metabolism where she has pioneered the successful treatment of experimental Tay-Sachs and Related Disorders. Her outstanding therapeutic results with AAV gene therapy appear in a recent issue of Proceedings of the National Academy of Sciences, USA (July 5, 2006). Timothy M. Cox, MD, is Full Professor of Medicine at the University of Cambridge, England, where he is head of department and director of the MB/PhD programme. He trained in cell biology and pathology is a practising internist and Metabolic Physician with a particular interest in the biochemical genetics of nutritional diseases – identifying mutant aldolase B in hereditary fructose intolerance and contributing to the mapping of juvenile hemochromatosis. Latterly he has investigated the genetics, pathogenesis and treatment of lysosomal disorders and initiated clinical development of the first licensed substrate-reducing agent for glycosphingolipid disorders as well as a novel biomarker for Gaucher disease - now in widespread use. He established the first government-funded National specialist center for the treatment of Lysosomal disorders in the UK at Cambridge University NHS Foundation Hospital Trust at Addenbrooke’s hospital, which will serve as the focus for the proposed gene therapy programme for neurodegenerative lysosomal diseases in Necropsy. Florian Eichler,MD,is a child neurologist in the Department of Neurology at the Massachusetts General Hospital, and an Assistant Professor in Neurology at Harvard Medical School. He is also Director of the leukodystrophy clinic at the Massachusetts General Hospital where he sees patients with a variety of white matter disorders. His clinical focus has been on diagnosis and identification of potential treatments for patients with leukodystrophies. His research focus is on the genetics of peroxisomal disorders, lipid metabolism, and spatial aspects of nuclear magnetic resonance spectroscopy. Douglas R. Martin, PhD, is a Professor at the Scott-Ritchey Research Center and the Department of Anatomy, Physiology & Pharmacology at the Auburn University College of Veterinary Medicine. Dr. Martin has 24 years' experience with the feline and ovine (sheep) models of gangliosidosis. 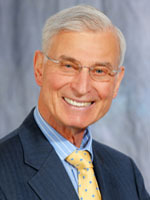 Dr. Martin's doctoral dissertation, entitled Gene Therapy of the Gangliosidoses, was completed in 1999 and investigated retroviral gene therapy for the gangliosidoses. Since then, he and collaborators in the Consortium have focused on aden-associated viral (AAV) gene therapy for gangliosidoses. Results have demonstrated >4-fold survival increases and dramatically improved quality of life in AAV-treated cats. With Consortium collaborators, Dr. Martin's lab has been funded by the National Institutes of Health, the Cure Tay-Sachs Foundation, the National Tay-Sachs and Allied Diseases Association, and other private foundations and industry. Miguel Sena-Esteves, PhD, is an Associate Professor in the Department of Neurology and Gene Therapy Center at the University of Massachusetts Medical School. He is an expert in vector design, and vectormediated gene delivery to the brain. His research focuses on developing gene therapeutic interventions for lysosomal storage diseases using GM1-gangliosidosis as a model disease, brain tumors, and other neurodegenerative diseases. Thomas N. Seyfried, PhD, is a Full Professor of Biology in the Biology Department at Boston College. His laboratory has worked on glycosphingolipids and lipid diseases for more than 30 years. His objective over the last 10 years has been to develop an effective life long therapy for ganglioside storage diseases. Edwin H. Kolodny,M.D., (original member, now retired) is a Professor Emeritus in New York University School of Medicine in Department of Neurology. He is a neurologist and geneticist with a longstanding interest in Tay-Sachs and related lysosomal storage diseases (LSDs). He helped unravel the enzyme defect in Tay-Sachs disease while working at NIH in Dr. Roscoe Brady’s laboratory. He established a diagnostic service for LSDs and of the New England Tay-Sachs Disease Prevention Program. He also began the Neurogenetics Clinic at the Massachusetts General Hospital (MGH). In 1991 he returned to New York University School of Medicine as Chairman of its Department of Neurology where he has continued his research on the biochemical and molecular bases of the LSDs in humans and animals. Among his more than 250 publications is a description of Tay-Sachs disease among American Flamingos and in sheep. The members of the TSGT Consortium share the same common goal of performing a clinical gene therapy trial for Tay-Sachs in a short time frame (3 years). To accomplish this ambitious goal they pool their resources and extensive experience in experimental gene therapy to devise the most effective AAV-based gene therapy approach to treat Tay-Sachs disease and bring it into simultaneous clinical trials in the US and UK. The Consortium is closely associated with parents/supporters and the National Tay-Sachs & Allied Diseases Association, Inc (NTSAD).